A pair of snappers photographing MACC Challenge competitors added more than 500 images to s0cial media. Official photographer, Raymond Hosie, buzzed round the nearly five mile obstacle course on his trail bike while Kenny Craig hiked round after the runners and some walkers tackling Saturday’s tough event. 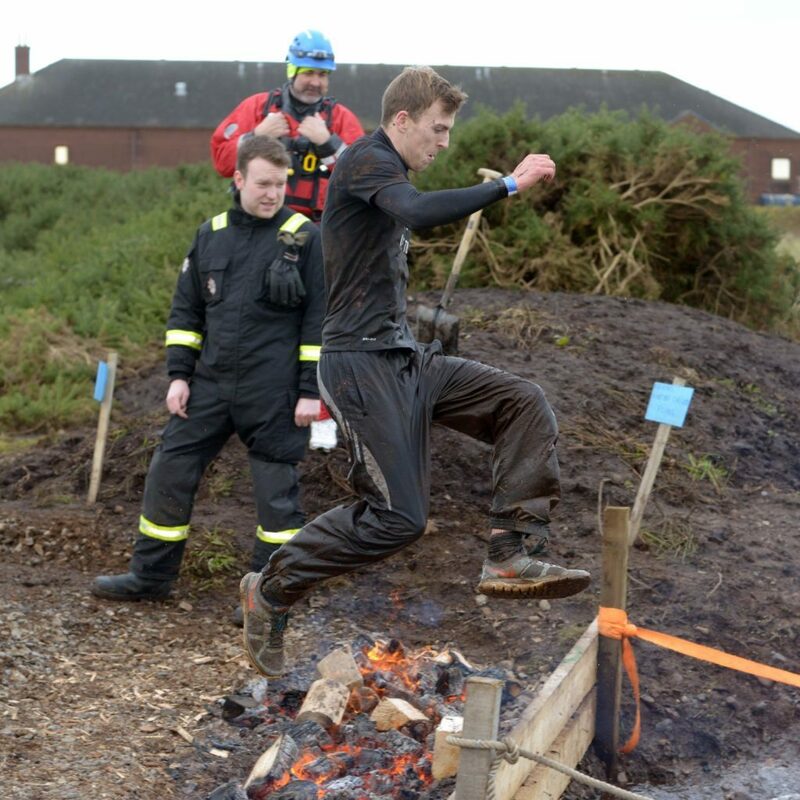 The final obstacle this year was a jump across a pile a burning logs before splashing down into a shallow pond excavated by Alec Binnie. Volunteers from Campbeltown firefighters made sure the fire was well stoked with wood. They were on hand with hoses in case runners needed any encouragement or found themselves on fire. Tricia Howat: ‘Absolutely great day, big thanks to organisers you all did a fabulous job and the marshals were great, we will be back next year. Photographer Raymond Hosie said: ‘A wonderful job was done to create and host this unique event. ‘I have to say also, I was really impressed by the spirit shown by everyone all around the course, everyone was smiling, laughing and getting stuck in.